California Legislators have turned on their constituents living in rural areas who want to participate in the 21st century online economy. What began as a move in the right direction - allocating substantial resources to funding high-speed Internet infrastructure - has become another opportunity to protect big incumbents. It’s twice as nice for Frontier and AT&T, because they will be paid big bucks to meet a low Internet access bar. Democrat Eduardo Garcia, the main author on Assembly Bill 1665, represents the Coachella Valley, a rural area in the southern area of the state near Palm Springs. Democrat Jim Wood coauthored with eight others. Wood represents coastal areas in the northern part of the state, which was passed during the eleventh hour of the 2017 legislative session. Wood’s district and region has obtained several grants from the California Advanced Services Fund (CASF) that have helped to improve local connectivity. The CASF is much like CAF; both programs are funded through a surcharge on revenue collected by telecommunications carriers from subscribers. Since 2007, when California authorized the CASF, the legislature has amended the rules and requirements several times. Early on, CASF awards went primarily to smaller, local companies because large corporations such as AT&T and Frontier did not pursue the grants. Now that those behemoths have their eyes on CASF grants, they’ve found a way to push out the companies who need the funds and have shown that they want to provide better services to rural Californians. The incumbents (large corporate ISPs) including AT&T, Frontier and the California Cable and Telecommunications Association jumped in and said, ‘We want the bill to be X, Y and Z.’ … Assemblymember Eduardo Garcia took it and started adding language that reflected the desires of these cable and telephone company incumbents. Maine is the latest battleground for local telecommunications authority. 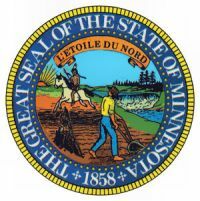 A bill in the state’s House of Representatives threatens to halt investment in “The Pine Tree State” at a time when local communities are taking steps to improve their own connectivity. Rep. Nathan Wadsworth (R-Hiram) introduced HP 1040; it has yet to be assigned to a committee. Like most other bills we’ve seen that intend to protect the interests of the big national incumbent providers, this one also has a misleading title: “An Act To Encourage Broadband Development through Private Investment.” Realistically, the bill would result in less investment by discouraging a whole sector - local communities - from making Internet infrastructure investment. Large national companies have thus far chosen not to invest in many Maine communities because, especially in the rural areas, they just aren’t densely populated. In places like Islesboro and Rockport, where residents and businesses needed better connectivity to participate in the 21st century economy, locals realized waiting for the big incumbents was too big a gamble. They exercised local authority and invested in the infrastructure to attract other providers for a boost to economic development, education, and quality of life. If HP 1040 passes, the community will first have to meet a laundry list of requirements before they can exercise their right to invest in broadband infrastructure. HP 1040 contains many of the same components we see in similar bills. Municipalities are only given permission to offer telecommunications services if they meet those strict requirements: geographic restrictions on service areas, strict requirements on multiple public hearings including when they will be held and what will be discussed, the content and timelines of feasibility studies, and there must be a referendum. The bill also dictates financial requirements regarding bonding, pricing, and rate changes. Municipalities cannot receive distributions under Maine’s universal service fund.